We’re offering training in a variety of communities to help equip Canadians to offer hope in Christ to family members, friends, co-workers, etc. — whoever is experiencing a personal crisis and needs compassion and a listening ear. 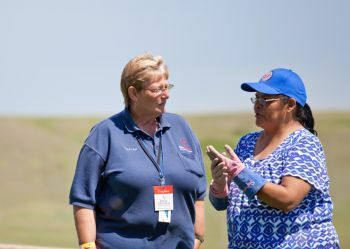 The training is also required training for those who feel called by God to serve as volunteer Rapid Response Team Chaplains, for deployment in Canada and/or abroad, to offer hope in Christ to victims of natural and or man-made disasters. We all know a friend, neighbor, or coworker who is struggling with a life crisis. The Sharing Hope in Crisis seminar (SHIC) will help you know what to say and what not to say to people who are grieving and enable you to compassionately and appropriately share the love and hope of Jesus Christ. This one-day seminar is suitable for everyone in the local church and is also ideal for counselors, church leaders and those who encounter suffering people on a regular basis. Compassion fatigue, also known as secondary traumatic stress (STS), is a condition characterized by a gradual lessening of compassion over time. It is common among individuals that work directly with trauma victims such as, therapists (paid and unpaid), nurses, teachers, psychologists, Chaplains, police officers, first responders, animal welfare workers, health unit coordinators and anyone who helps out others, especially family members, relatives, and other informal caregivers of patients suffering from a chronic illness. This course will identify those ongoing stressors that can lead to compassion fatigue and identify preventative measures to alleviate the potential of this occurring in a care givers life. All Critical Incident Stress Management (CISM) courses are instructed by a certified International Critical Incident Stress Foundation (ICISF) instructor. This course is designed to specifically teach crisis intervention and Emergency Mental Health skills such as demobilization, defusings, and CISD (Critical Incident Stress Debriefings). At the completion of this course, participants will be able to: define stress, CIS (Critical incident Stress), and STSD (Secondary Traumatic Stress Disorder); list the 10 basic interventions of CISM; and define and describe in detail the CISM group processes of demobilization, defusings, and debriefings. Designed to provide participants with the latest information on critical incident stress management techniques and post-trauma syndromes, the Advanced Group Crisis Intervention builds on the knowledge base which was obtained through the Group Crisis Intervention course and/or in publications. At the conclusion of this course, participants will have been exposed to specific, proven strategies to intervene with those suffering the ill effects of their exposure to trauma. Emphasis will be on advanced defusings and debriefings in complex situations. This course is designed for EAP, human resources and public safety personnel, mental health professionals, chaplains, emergency medical services providers, firefighters, physicians, police officers, nurses, dispatchers, airline personnel and disaster workers who are already trained in the critical incident stress debriefing format. It will also be useful for those working extensively with traumatized victims for various walks of life. This course requires previous training and experience. ICISF’s “Group Crisis Intervention” should be viewed as a prerequisite to Individual Crisis. The Billy Graham Rapid Response Team trains God’s people for grief ministry. 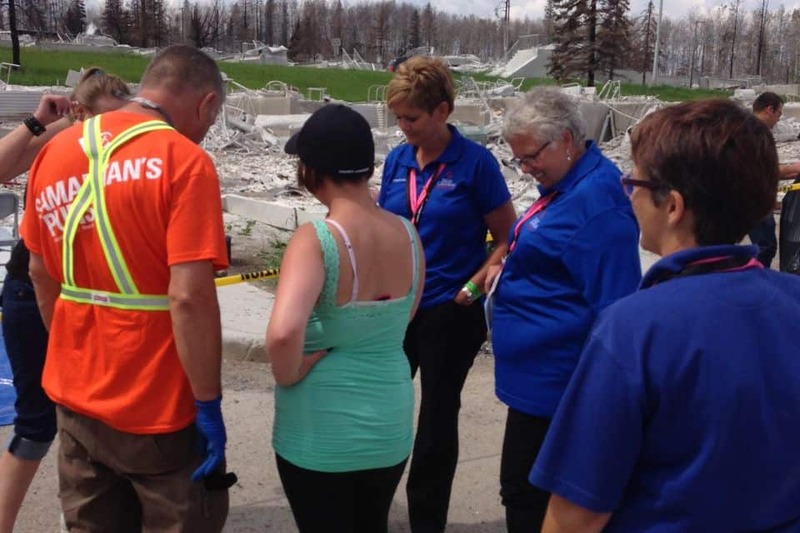 This course will enhance your skills to provide effective Emotional and Spiritual Care (ESC)to meet the disaster-related needs of disaster responders and disaster affected families and individuals within disaster operations. This course builds on the crisis intervention principles taught in the Critical Incident Stress Management (CISM) core courses to effectively integrate these principles within ESC teams for appropriate care throughout the disaster continuum from the immediate to long-term recovery process. This course is designed for trained clergy, chaplains, mental health professionals, and CISM trained crisis responders who desire to enhance their skills in providing Emotional and Spiritual Care to survivors of disaster and trauma. This course is taught by Certified Instructors from the International Critical Incident Stress Foundation and participants will receive a certificate from the ICISF. Crisis Intervention is NOT psychotherapy; rather, it is a specialized acute emergency mental health intervention which requires specialized training. As physical first aid is to surgery, crisis intervention is to psychotherapy. Thus, crisis intervention is sometimes called “emotional first aid”. This program is designed to teach participants the fundamentals of, and a specific protocol for, individual crisis intervention. This course is designed for anyone who desires to increase their knowledge of individual (one-on-one) crisis intervention techniques in the fields of Business & Industry, Crisis Intervention, Disaster Response, Education, Emergency Services, Employee Assistance, Healthcare, Homeland Security, Mental Health, Military, Spiritual Care, and Traumatic Stress.